Looking for some kickass motivation that will give you & your team a HIGH for a lifetime? Akash Gautam will do it magically with his wonderful original ideas for life. 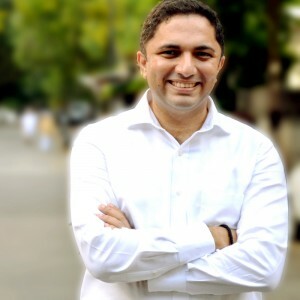 He is a Corporate Trainer & a very popular Motivational Speaker in India. Know much more & all about him by clicking at www.akashgautam.com (His official website). 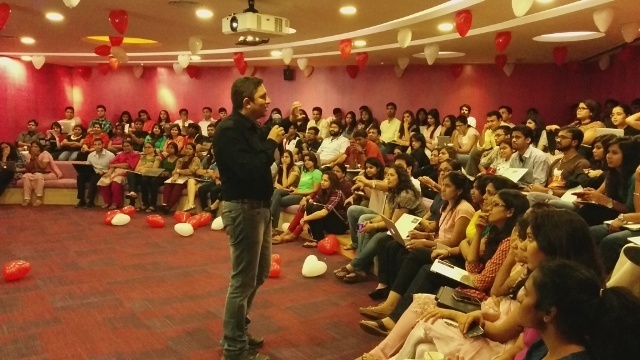 For engaging Akash as a Speaker / Trainer: Please write to us at info@akashgautam.com. We prefer Emails. We will revert to you with all details in quickest time. However only if it is an urgent business need; you may speak with Riya at +91.708-75-06666 . Akash’s India number is 97799-3-6666. 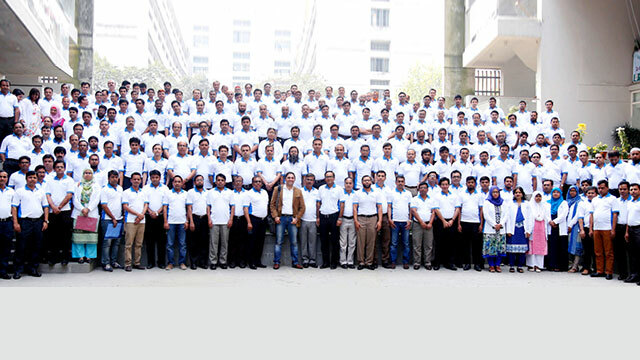 30+ of the NIFTY-50 Companies in India trust Akash repeatedly for impacting the backbone of their businesses- their very important people. He promises ‘Life changing Events. Always !’; something which you have never witnessed before. His genre is Sarcasm & Humor. His ‘High Energy’ events are Motivation minus the boring Gyaan(Theory) & are just what actually gets needed in Life & at work. Pure, practical & unconventional inspiration. Your team will be jumping at the end of it & your people will for sure come & thank you for the same. This is a commitment. He regularly gets invited as a Celebrity Speaker at TEDx, Top IIMs (Ahmedabad, Kolkata, Bangalore, Lucknow & others), IITs (Delhi, Chennai, Mumbai etc), XLRI, MDI, SRCC & other Top Colleges in India. With more than 18 years of rich experience, 1300+ Events (with greater than 7,50,000 attendance & counting); he is today the most sought after & leading name whenever Corporate organizations look out for Keynote Speakers in India. You may also want to see snapshots of some of his best sessions across the world here – Picture galleryPicture gallery. 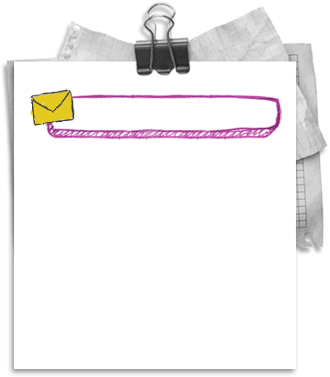 Do definitely visit this page where Clients have written Happy Notes (Testimonials) for him. Vice President, Maruti Suzuki India Ltd.
General Manager –HR, Mahindra & Mahindra Ltd.
No Gyaan Zero Yawn Events – Always ! 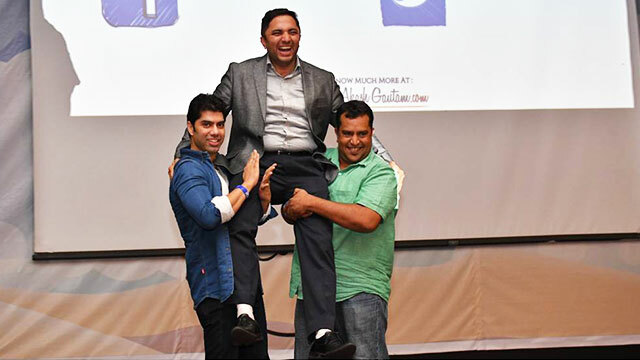 Akash Gautam regularly gets featured in leading magazines & newspapers among the Top 10 Motivational Speakers in India ( 2015, 2016 & 2017 ) lists. 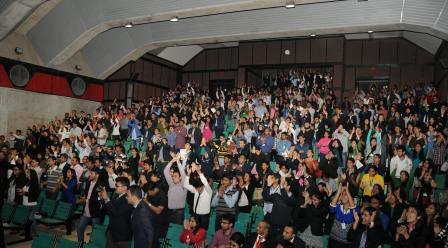 Other Top Motivational Speakers in India who featured in those lists included names as Deepak Chopra, Shiv Khera, Sandeep Maheshwari, Arunima Sinha. Akash’s events are a laugh riot with extra toppings of sarcasm, goosebumps and realizations. 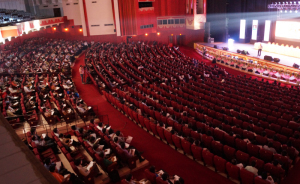 The impact rate is much higher because he speaks in the language the attendees love most. You’ll find in his Events a treasure of stunning concepts that will set your productivity soaring. 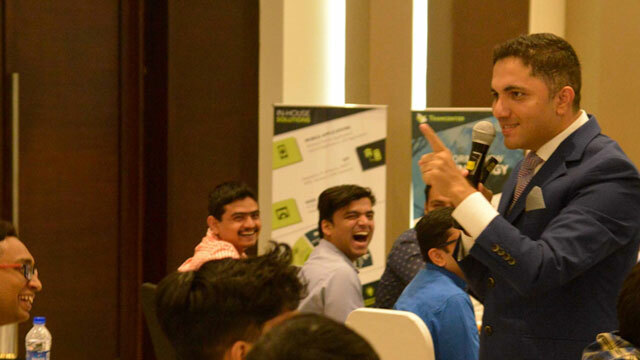 As a Motivational Speaker & Trainer in India; Akash has enjoyed the privilege of speaking to, connecting with and interacting with a very diverse clientele which includes even Tihar Jail inmates; Delhi , rural women of Haryana & Miss India beauty pageant contestants too. “As a student I used to dream of huge auditoriums, houseful audience, powerful mikes & then ‘Me’ extending myself onto all this. It took time but all my dreams came true. God has been very gracious. Now, ‘It is Thanks giving time’.” he says. The journey of starting as a no one to being counted among the Top Motivational Speakers in India has been a very enriching & humbling one. 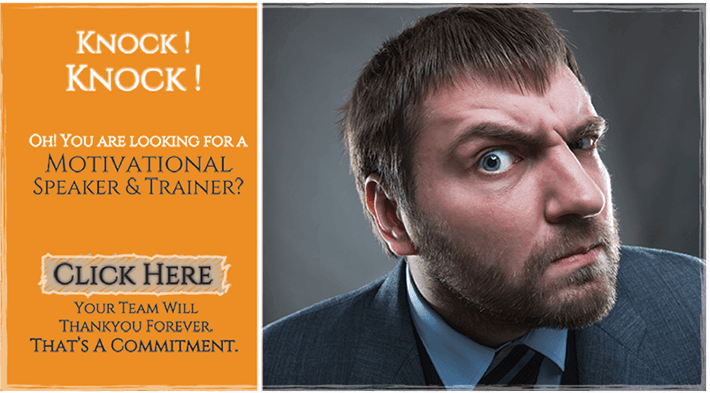 Training & Motivational speaking are much more than speaking borrowed lines in fluent English.It is a highly specialized art where the Trainer draws from his extensive researches & experiences of having done the same over many years. And my experiences have brought me two things – content & style. I believe, the style of reaching out to people is as important as the content being talked about. The journey in retrospect seems like a fairy tale. 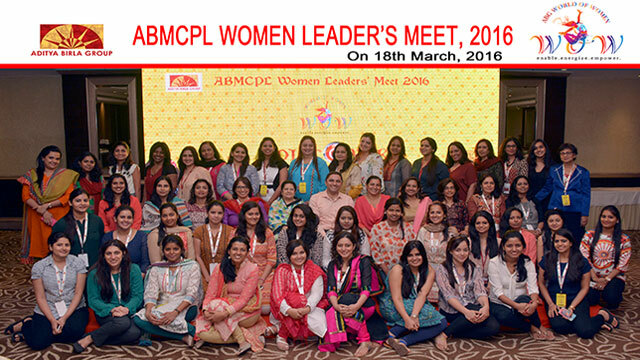 It all started in the year 2000 when I started picking up Corporate assignments as a Motivational Speaker in Delhi. The assignments were sundry & the work was neither satisfying nor gratifying then. 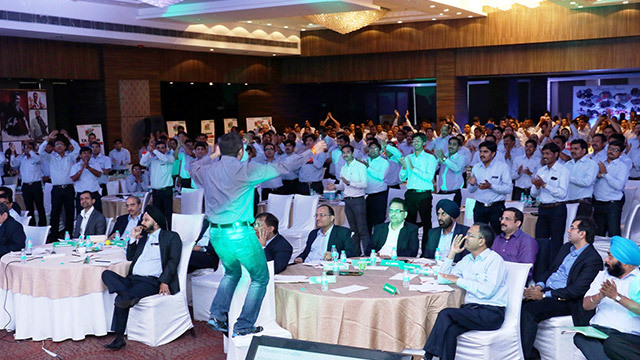 The corporates did not want to believe & invest in an upstart Motivational Speaker & Trainer. But every bone in my body made me believe that I could create products & events which could solve problems in people’s lives. Delhi made me aggressive & patient at the same time. Having studied & lived in New Delhi for many years; when it came to settling down; we decided to work & live out of Chandigarh (the most beautiful & organized city in India). Reasons were simple:- Chandigarh as a city had a hygiene factor about it which stimulated the creative hat in me. I find writings Blogs in parks of Chandigarh more easy to do than in any part of Delhi. 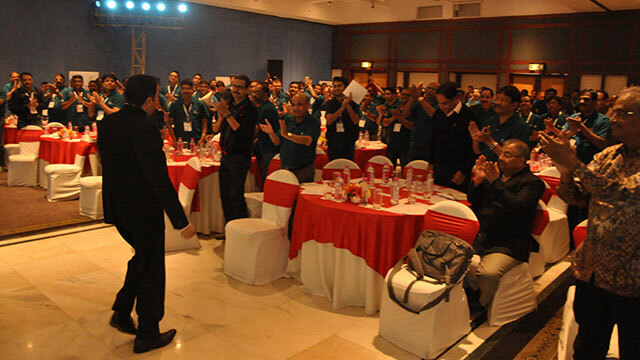 In the last 10 years -my dream of being one of the Top Motivational Speakers in India has taken me to all major cities & states in India like Delhi NCR, Mumbai, Kolkata, Hyderabad, Bangalore, Chennai, Chandigarh (Punjab), Pune (Maharashtra), Indore, Jaipur, Ahmedabad (Gujarat), Assam (Eastern India and North East) , Cochin (Kerala) etc and more. As a Hindi Motivational Speaker in India- I realized that customizing the Events & talks in a language which the audience understands more is critical to the impact of the Event. People buy from a point of emotional contact & a language as Hindi when used to convey a strong message; makes the impact all the more easy in a Hindi speaking country as ours. Today every one out of five Motivational Events that I do are in Hindi. In the last few years; I realized that Hindi as a language works the best when I am working as a Motivational Speaker for audiences as during Dealer Meets, Vendor meets, addressing associates of Network Marketing – MLM Companies. I took some extra time to adjust to the customization needs at Chennai; where the audiences were mainly Tamil speaking. But after a few Events; I was ready to go. 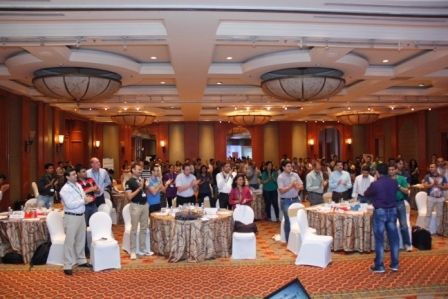 Doing Events for Corporates in Chennai is as much a ease now as it is in any other part of India. On the way picked up little bit of Tamil, Telegu & Bengali as well for my Events in Chennai, Hyderabad & Kolkata. This hard work really helped me demolish the basic language barrier while working across geographies of India as a Motivational Speaker. 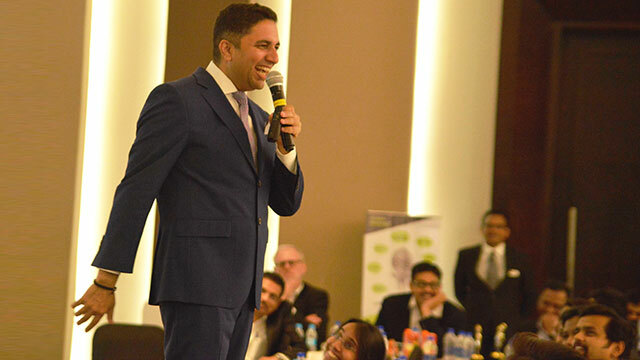 As a Motivational Speaker in Dubai (UAE, Middle East, Gulf Countries), Nepal, Sri Lanka, Singapore, Thailand, Malaysia, & other South East Asian countries; I could customize my Talks to the specific sociological needs of the corporate employees. Do check 12 super Inspiring Quotes to fire your Career Mojo & Motivational Videos to super charge your confidence . Among the Top Motivational Speakers in the world; the names which have inspired Akash the most are Les Brown , Brian Tracy , Eric Thomas, Bob Proctor , Robin Sharma, Simon Sinek & Nick Vujicic. 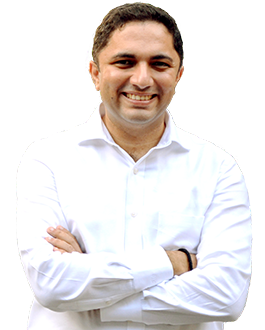 Akash Gautam’s Blogs get consistently ranked among the most read & top Motivational Blogs in India. Original. Unconventional. Magically Refreshing. That’s what Akash Gautam’s motivational talks are. 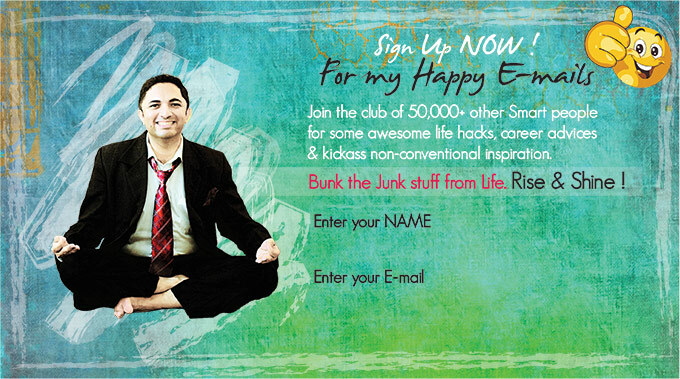 Invite Akash today to get your teams, clients and lives transformed forever.